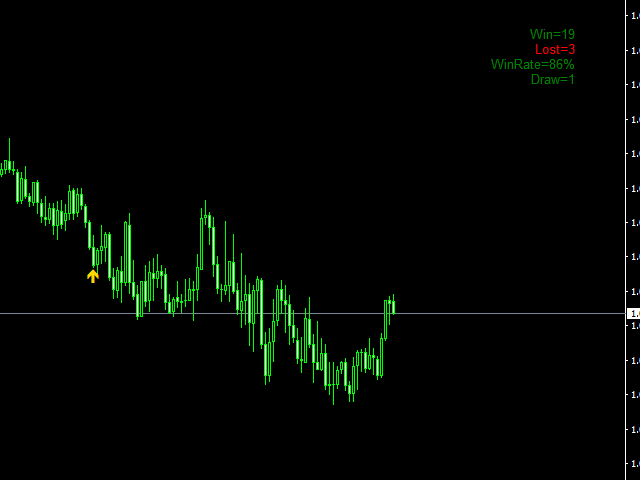 Highly efficient indicator for binary options, designed for use with the MetaTrader 4 terminal. 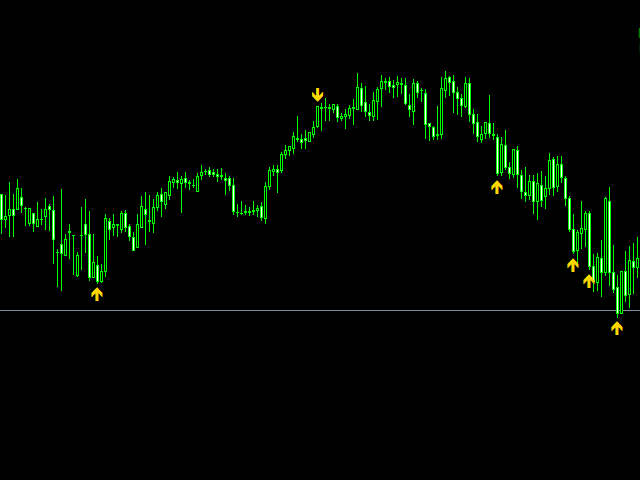 The indicator is equipped with a preliminary signal, which generates alert on the current candle. 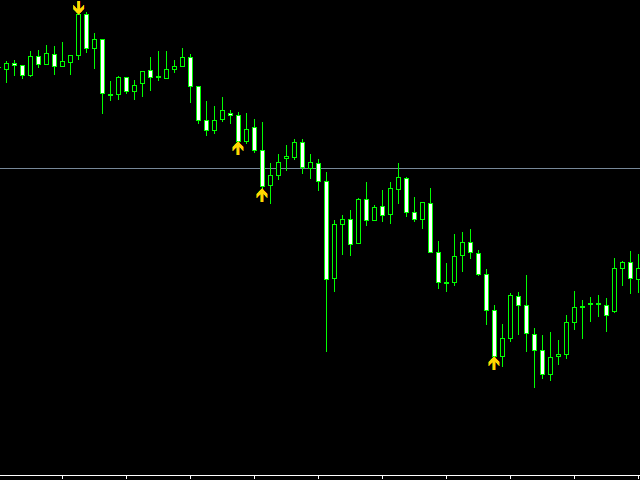 After that it is necessary to wait for the candle to close. 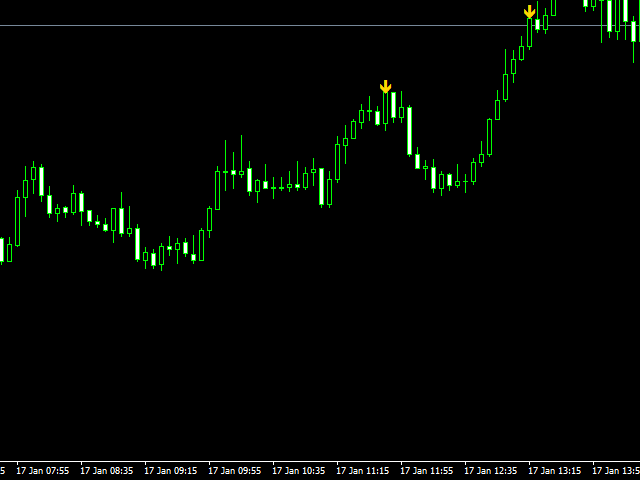 If an arrow appears after the candle closes, enter a trade in the specified direction. 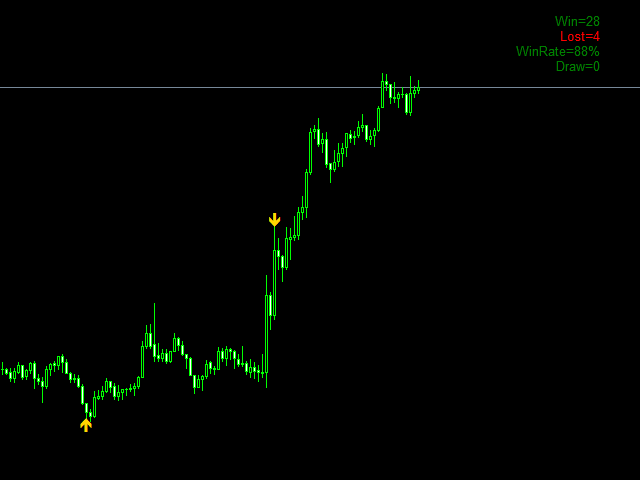 Recommended timeframe is М5, expiration - 1 candle. Pre-alarm - Enable or disable the preliminary signal. By default this parameter is set to false, which means it is disabled. Text color in dashboard - Color settings for the information panel. History - The number of bars for the calculation, default value is 5000. Distance from arrow - Adjust the signal offset in points. 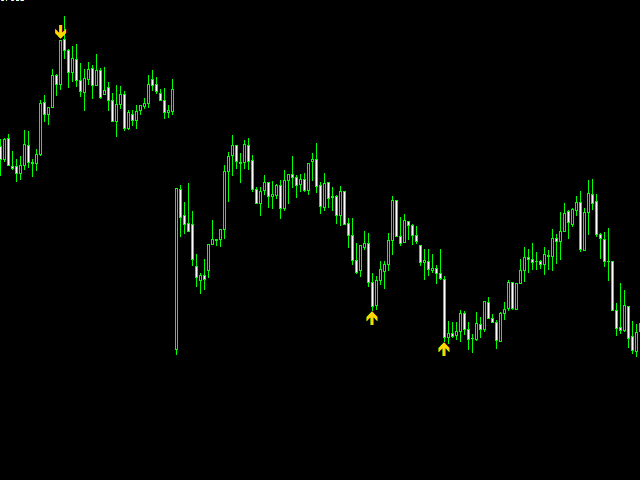 Arrow size - Signal (arrow) size. 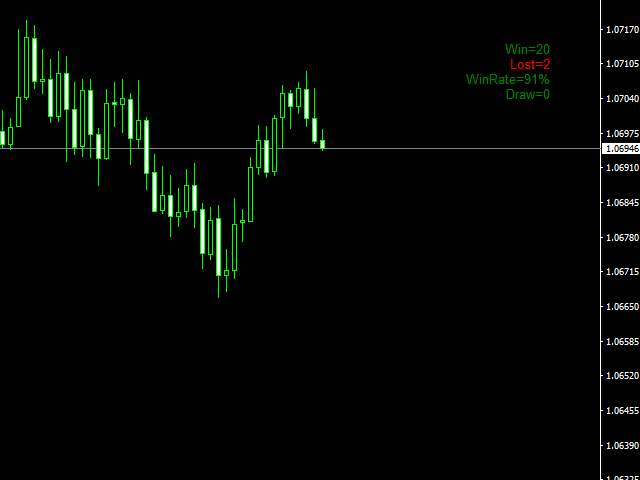 Box alerts - Sound notification about readiness to enter a trade. By default this parameter is set to true, which means it is enabled. Email alerts - Send notification to your email. Phone alerts - Send notification to your mobile device.